And it was a good project for me because kombucha gives you a little leeway when it comes to time. It’s not on a minute by minute schedule, so if you have to wait a few more hours (or days, ahem) to get to it and move it to the next stage, it’s pretty forgiving. That’s a pretty big SCOBY, and there’s a significant amount of extra room there at the top, as the bacteria and yeast have been gobbling the sugar in the tea for awhile now. It doesn’t smell bad – just a slight vinegar smell, which is expected. No fuzz or otherwise gross contaminants that would signify that something had truly gone awry or that my SCOBYs were bad. I thought I was basically just giving myself two SCOBY hotels with this batch of kombucha, that it had gone “too far” to be usable as far as food. But then I met Jill Ciciarelli at a Wigle Whiskey event for Penn’s Corner members. She gave us a sample of one of their experimental whiskeys, and in the course of me running my mouth, I mentioned that I wished I had gone to their kombucha and cocktails class. Turns out, she taught it. Must have been the whiskey, but I confessed that my poor kombucha had gone too far. 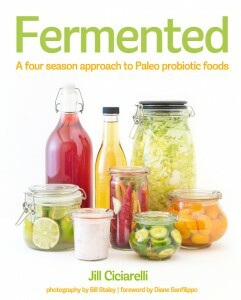 Turns out, she wrote a book on fermentation, titled, aptly, Fermented. * And she told me that I can still use kombucha that’s been fermenting too long to want to drink it straight. First of all, how did I not find this book when I was starting this process?!?! Allow me to kick myself here. It is so straight forward and easy to understand, it takes all the fear out of it. I appreciate Sandor Katz and love The Art of Fermentation, but that book is intimidating beyond belief for first time fermenters, and it’s also not a how-to. Fermented, however, is visually appealing and organized so well that I ordered myself a copy as soon as my library copy had to go back. Ever want to put a post-it note in a library book that says “Do yourself a favor. Return this now and go buy it.”? I wanted to do that with this book. If you are considering fermenting anything – tea, cabbage, booze – get this book! Anyway, back to my poor, neglected kombucha. I think one of my jars will remain a SCOBY hotel, holding a backup SCOBY in case something goes south with my next brew. I might always try to keep one on hand like that. As for the extras, the book mentions dehydrating them, and I’ve seen people make them into gummies, though that might be a goal for 2015. But for the rest of the liquid, I’ll basically use it as what it is – vinegar! I can store it as vinegar and use it to make things like kombucha salad dressing (recipe in the book) or a marinade. And hopefully this weekend, I’ll get a new batch for drinking going! *I didn’t get paid or perked to talk about this book and the links are not affiliates. It’s just really good and you should buy it. That’s all. This is the first year that I’ve made a concerted effort to work on actually completing my resolutions for the year. Perhaps it’s because I didn’t aim too high and made them realistic. Here’s an update on how I’m doing at the halfway point in the year. I haven’t done another one since this post on the DARK Act. I need to get on that. I might write next about funding to reduce hunger. It’s been good to be on a training schedule and to be following it. I’ve put in 246 miles so far this year and that number is about to go way up because it’s going to get hard soon – after the holiday weekend we bump up to 15 miles for a long run and I go into distance territory that my body has never traveled. It’s an adventure, this marathon training. Don’t forget, I’m posting photos on Instagram under the hashtag #yearofthemarathon in case you want to follow along on the adventure. I really need to kick this into high gear during this marathon training, because even though I do drink water constantly, I am always fighting being dehydrated in this weather. And I was doing some research this week that dehydration while running can also increase your heart rate, which is something I’m hyper sensitive to as an asthmatic. Done and done. Completely knocked this one out of the park, and it might be the coolest thing I accomplished this year (unless I do complete the marathon, that is). Read about it here. Making slow progress on this one. I finished cutting all of the squares for my quilt this weekend. (I’m technically getting materials together for two, planning to start with my own quilt to get the hang of it before I do Mark’s.) Now it’s time to fire up my grandma’s sewing machine, which will hopefully happen in July. Technically I’ve met this goal with our strawberry vanilla jam, a variant I hadn’t made before. But since I think the spirit of this was for me to do something entirely new, I won’t count this done yet. But it will be full on canning season in the next couple months. Didn’t really get around to planting specifically bee-friendly plants, but we definitely have more flowers this year compared to last, which is at least a step in the right direction. I actually completely forgot about this one, so this is a good reminder. Perhaps because of the heat and humidity, I’ll make something that’s refreshing for them. The basement has stayed relatively organized since we transitioned one side of it to a work area for Mark. I still have a few things I’d like to do down there, especially to get a root cellar ready for later this year. But it’s better than it used to be (at least when Stormy and Vader don’t knock food bowls all over the place). How are you doing on your goals for 2014? Share them in the comments! After three days of second fermentation (after the addition of juice to the kombucha), we broke out a bottle of the mango kombucha. I was pretty nervous – not about safety, but about whether the juice to tea ratio was right and whether or not it was carbonated enough. 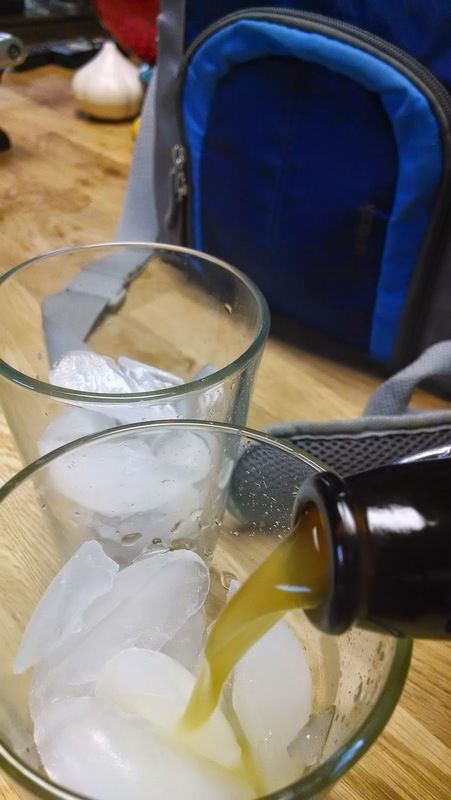 We both like our kombucha cold, but since it ferments at room temp, we added ice. The mango was quite good. Mark thought the juice ratio was perfect, though I thought it was slightly too much. We both thought it could use another day or two of carbonation (we had these at day 3). But it was truly delicious. 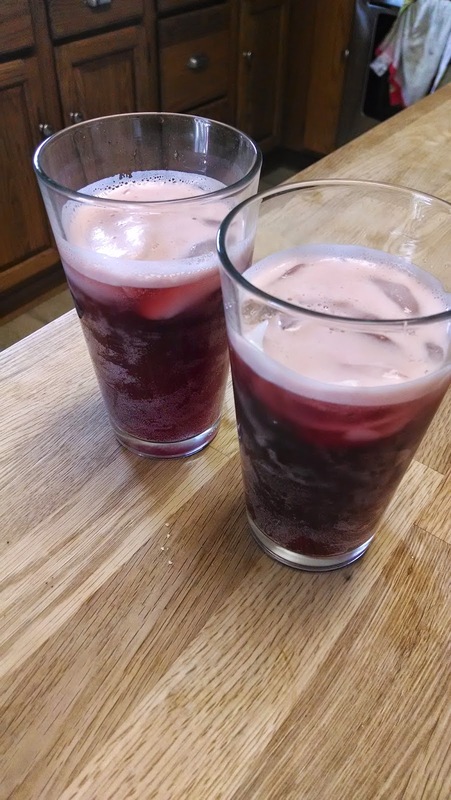 We tried the tart cherry the next day (day 4 of carbonation). I thought the cherry had a better ratio of juice to tea than the mango, and Mark, even though he’s not as much a fan of tart flavorings as I am, thought it was good as well. Ironically, we both felt it needed more carbonation than the mango one, even though it sat for another 15 hours. I think that might have something to do with the particular juice and how much sugar is in it, etc. We also gave a bottle of cherry to our friends, who both reported it tasted great. 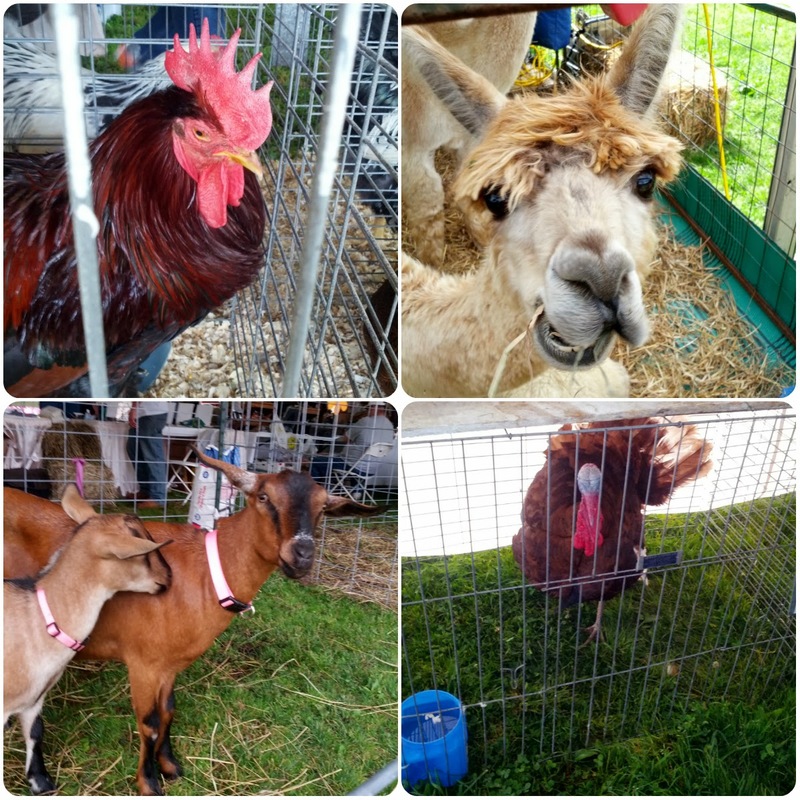 And one of them wasn’t really interested in GT’s kombucha when he had it, but liked mine! Better than GT’s? For a tiny fraction of the price? I’ll take it! From this point forward I’ll keep a supply of kombucha going and will be trying to work it into my diet daily, for the GI benefits it supplies as well as the fact that it tastes fantastic. I’m quite proud of myself for finally following through on this project and checking off one of my 2014 goals! 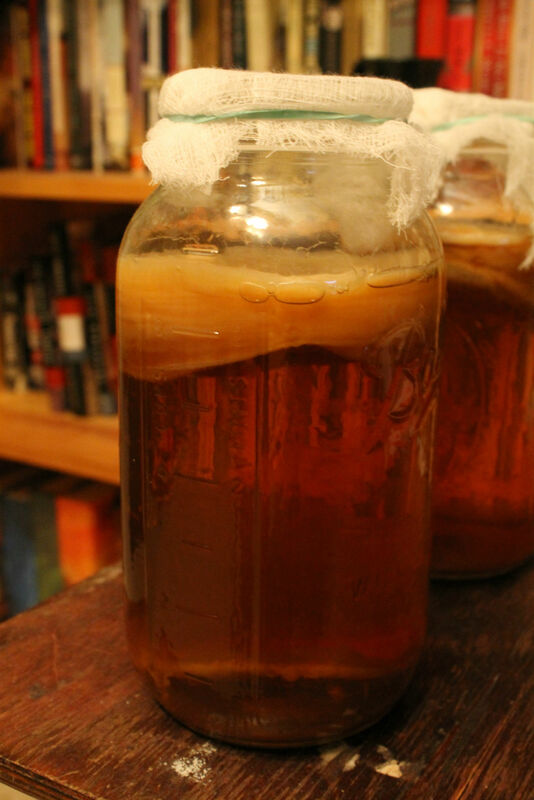 One of my goals for 2014 was to homebrew kombucha. Almost exactly a month ago, I started by growing a SCOBY. The SCOBY has been ready for a little bit, but I only had time to start the kombucha this weekend. I’m using this recipe for the base, since it’s as simple as it comes. You start by boiling some water. Easy peasy. Once it comes to a boil, you add a cup of sugar. Once the sugar dissolves, add the tea bags and let it steep for a long time – until it cools off on its own. Fast forward a couple of hours (I baked 96 mini blueberry cupcakes while this was cooling!) and you’ve got sweet tea. Squeeze the tea bags and remove. Here we’ve got the sweet tea, a brewing container, some starter kombucha, as well as my SCOBY, floating on the top of the jar. 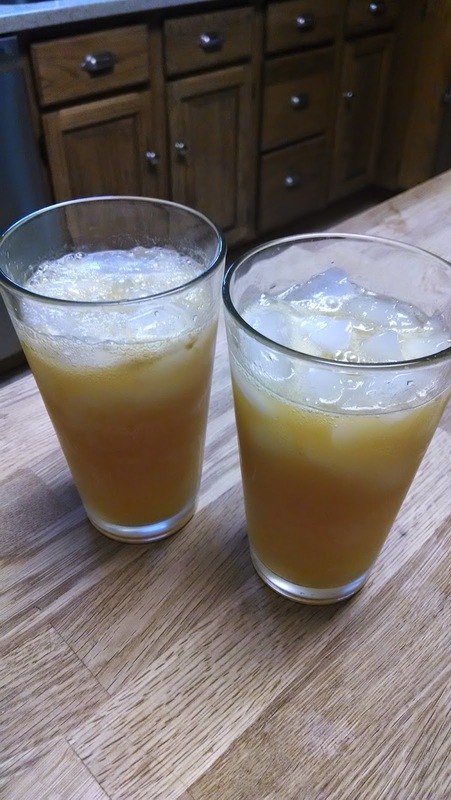 I’ve read that you can use that liquid as the starter instead of the original kombucha, but I don’t like to experiment and divert from recipes when I first make them. Just my personality. Add all 16 ounces of the original kombucha to the starter tea. You do this so that the acidity of the tea stays high enough that the bad bacteria don’t grow. You only want the good ones! Once this first batch is done, I can save out 16 ounces of that batch for the next one I make. So you might very well be looking at the last bottle of commercial kombucha I’ll be buying! I then transferred the tea mix to the brewing container. 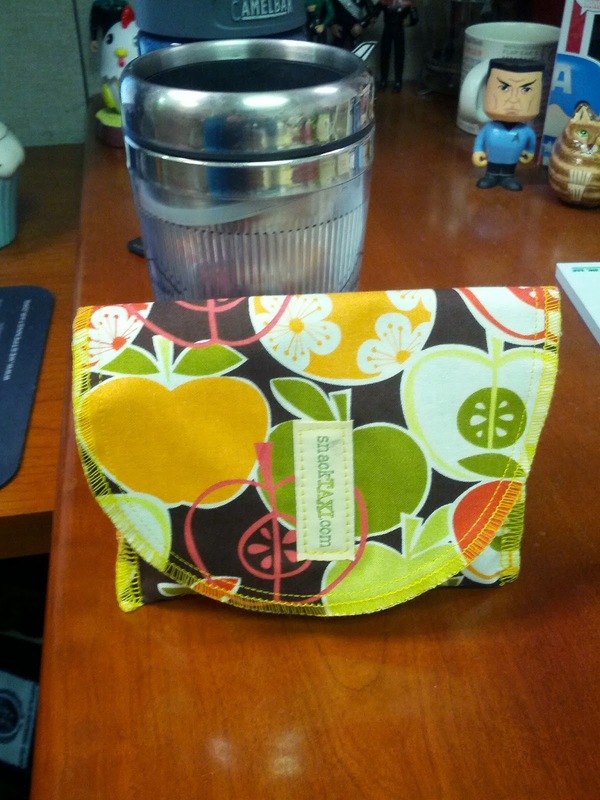 I had chosen this container after a lecture I heard at Mother Earth News Fair about good containers for started kombucha. Since the spout on this container doesn’t have any metal, it would be ideal for brewing and then transitioning to bottling. Then it’s time to transition the SCOBY over. Man was this thing weird. I’ve seen pictures of them, but never touched one before. And it was seriously a blob. But I was pleased to see that it was healthy with no problem areas – only just one thin spot. Ironically, once I put the tea mix in the beverage container, I had to step away to attend to something, so it sat on the counter for a bit before I could put the SCOBY in. During which time the container’s seal proceeded to leak. Just a tiny bit – not enough that you’d notice at a party if you had punch in the container. But enough that I knew I couldn’t leave the container like that to brew for a week, or I’d lose it all. 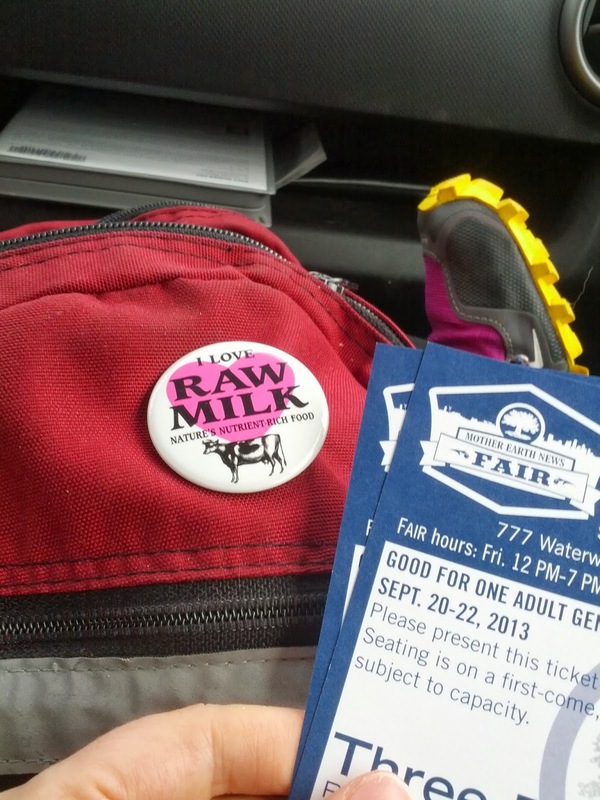 Plan B was to split the SCOBY in two and use half gallon mason jars to brew. Cutting the SCOBY was ridiculously hard though, since it was like thick tire rubber. Definitely an experience. I covered them both with cheesecloth held in place by a rubber band, like the jar on the right, and set them in the same place where I grew the SCOBY, since it seemed to have the right temp and light to grow a good SCOBY in the first place. So now I sit and wait for 7-10 days while these ferment. Then it will be on to the next step – bottling, flavoring and carbonating! Stay tuned! Basically, kombucha is fermented sweet tea. People drink it for a lot of reasons – everything from enjoying the taste to thinking it cures cancer. I am strongly in the “enjoys the taste” camp, with also an added benefit I’ve seen with my own GI issues, since the “good bacteria” in kombucha can aid digestion. I don’t think it’s a cure for anything (and even a hippie fermenter like Katz doesn’t claim that). The main reason I want to make it at home is because a 16 ounce bottle of it is almost $4, and I want to drink too much of it for it to be cost effective for me to buy it at the store. Water, sugar, organic black tea and a bottle of store-bought original kombucha. (I like GT’s kombucha, in case you want to try some in the store to see if you like it. But I prefer the flavors that have juice in them – like mango, cranberry and strawberry. I’ve tried other brands, but none are as tasty as GT’s.) The cheesecloth and half gallon Ball jar are for the setup. Boil the water, and then add the sugar, stirring to dissolve. Next you steep the tea for a bit. The marks on the bottom of my pan are from stirring through the bubbles on the bottom (though it looks like something’s floating in there!). It sits until it comes back down to room temperature. While this steeped and cooled, I measured out the 8 ounces of GT’s I would use. You can vaguely see in this close-up of the GT’s kombucha that there are floating pieces of brown film-like substance in it. I made sure to fish those pieces out and include them, since they are baby SCOBYs. After the tea was cool, I added it to the mason jar. (And managed to clean off most of the kitchen island to take a photo without as much crap in the background!) The tea was quite dark, and the kombucha quite light. Obviously after adding the kombucha and stirring, the color changed slightly. I cut a piece of cheesecloth and placed it over the top of the jar, using a rubber band to hold it in place. Then I transferred the jar to the warmest room in our house – the one that’s most likely to hold temperature and one that has a door to keep the cats from their own curiosity – the office. It will hang out in the office for anywhere from a week to 3 or 4 weeks, depending on how long it takes to develop. The liquid from this SCOBY growing will likely be too vinegary to want to drink. So this weekend, I’ll probably start a regular batch using the older SCOBY to see what happens. A culinary science experiment! A lot of people ask if it’s safe to ferment things at home – and the answer to that is absolutely. People have been fermenting things to eat and drink since the dawn of time, and certainly before modern food preservation. There are signs to look for that your kombucha is not good, but like other living foods, it should be pretty obvious in the smell and look that something is off and you should start again. So I’m not afraid to try out a batch with this older SCOBY, because I’ll still be able to determine if it’s ok to drink. Are you a kombucha drinker? If so, why? What kinds do you like?